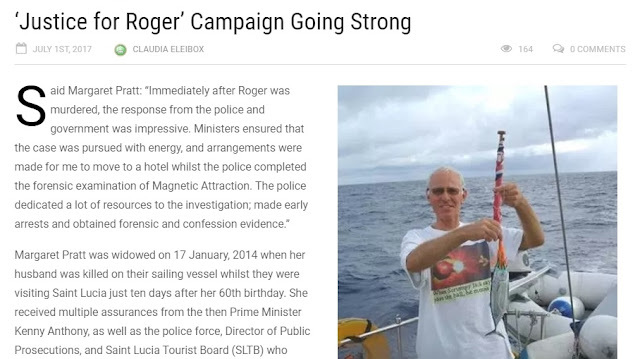 To the authorities in St Lucia, Roger's murder is a big concern because it embarrasses the island and continues to affect its tourist trade. Our story highlights the dangerous nature of St Lucia, which has an astonishingly high murder rate and crimes against tourists are common. The St Lucia authorities don't want our story to be told. That makes this piece in the St Lucia Star all the more heroic... please read and share!